Its been a lot of fun stacking gold on Melissa. 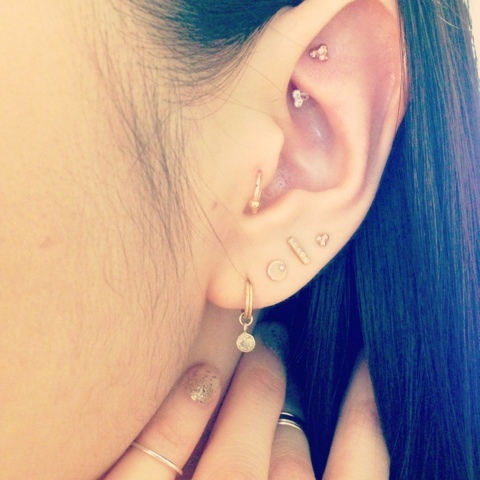 Now these beautiful piercings just can't be defined into words. But then too if it has to be defined, I would say it in only one word "WOW". Why are you so incredibly amazing? Might I ask where to get that lovely earring with the two hoops and the little moon?